I've got some foreign Indie lacquers for you guys today all the way from France! 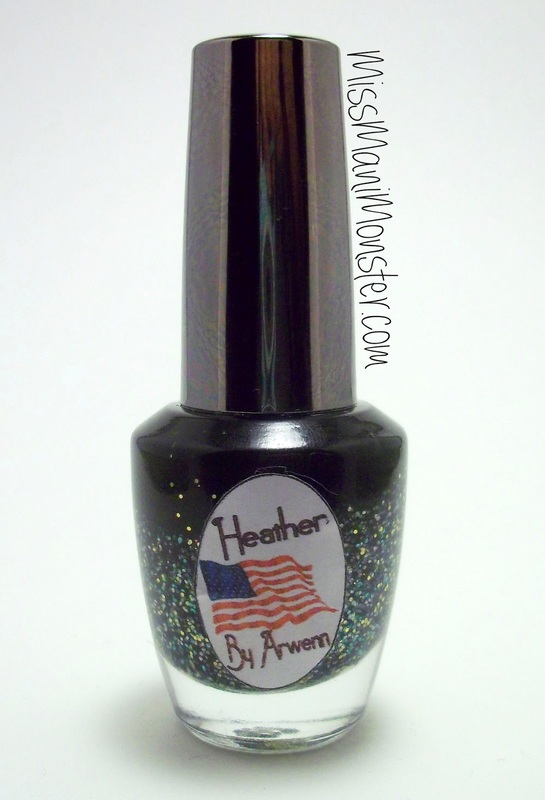 By Arwenn is a French Indie lacquer over on Etsy, and Arwenn has got choices and styles for everyone. From holo to liquid sand, she's got it all covered! 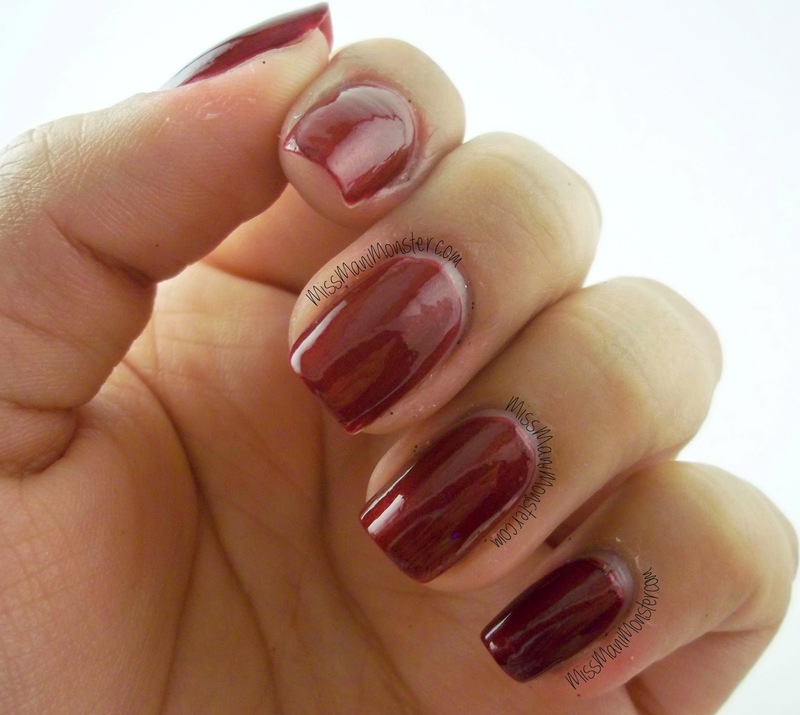 First is a classic ruby red named Vampire, opaque in two coats. 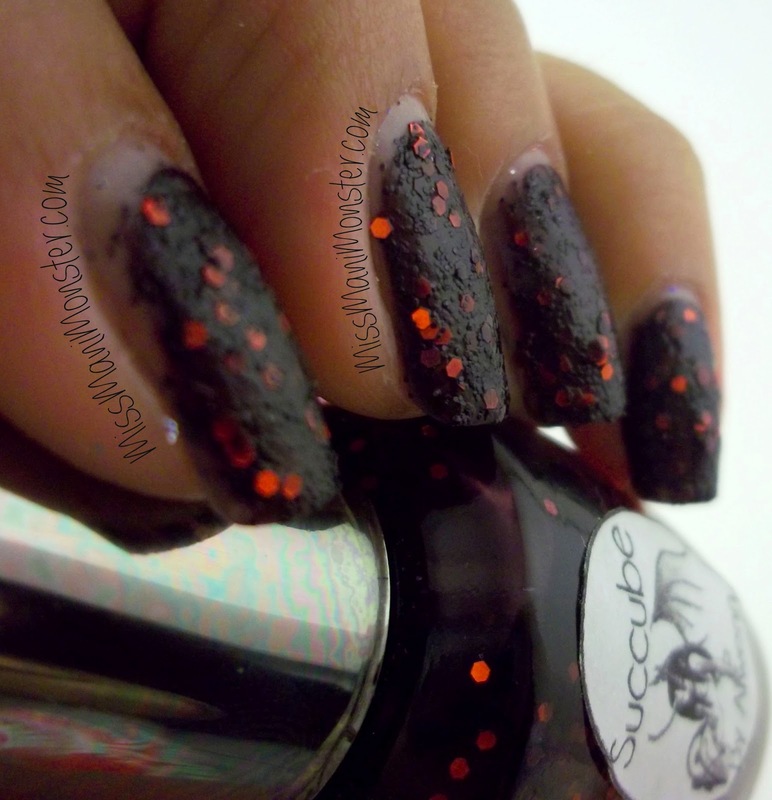 Next up is a textured glitter polish from her Coffret Sorcellerie collection, named Succube. This was 3 coats with 10 minutes drying time. There's a slight sheen to the polish, but it definitely dries with a texture. Dark and sultry for sure! 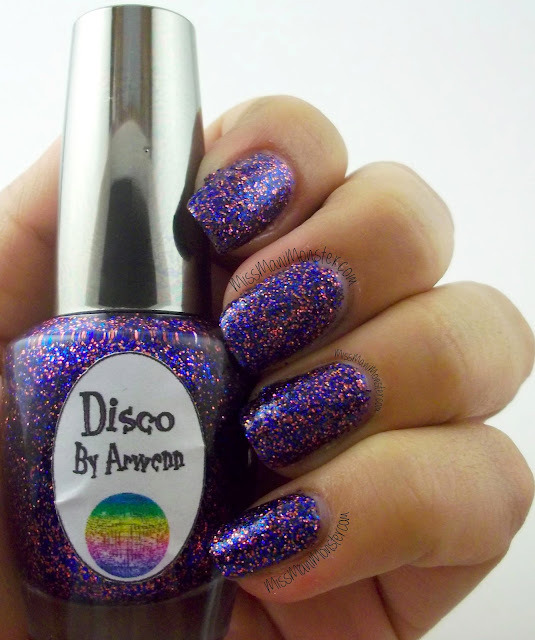 Next is Disco, a fun liquid sand polish with blue and pink glitter. Full coverage in three coats! Finally, I have a special treat. 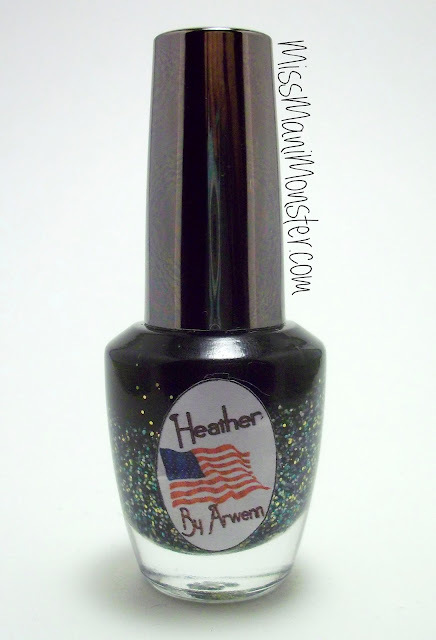 Arwenn was so excited to be partnering up with a US blogger that she created a new polish and named it after me! This is from her liquid crystal collection, so it dries textured. Below is Heather! Please pay a visit to Arwenn's Etsy store, where you'll find something you'll love for sure, and be sure to like her Facebook page!! Thank you to Arwenn for working with me!